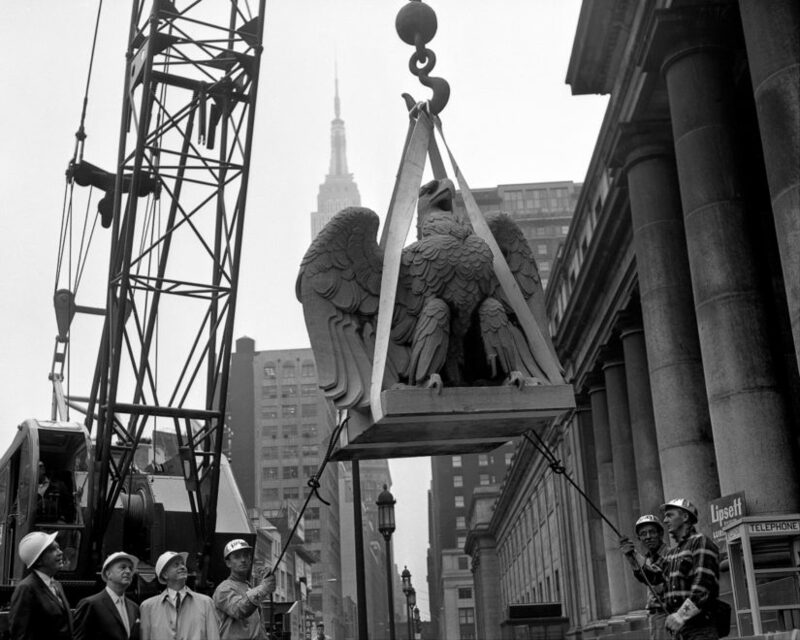 The demolition of McKim, Mead & White’s Pennsylvania Station, amid public outcry, is popularly regarded as the birth of the modern preservation movement in New York City and the impetus for the Landmarks Law. Pennsylvania Station was never officially designated a New York City Landmark. Demolition began in 1963, and was complete by 1966. 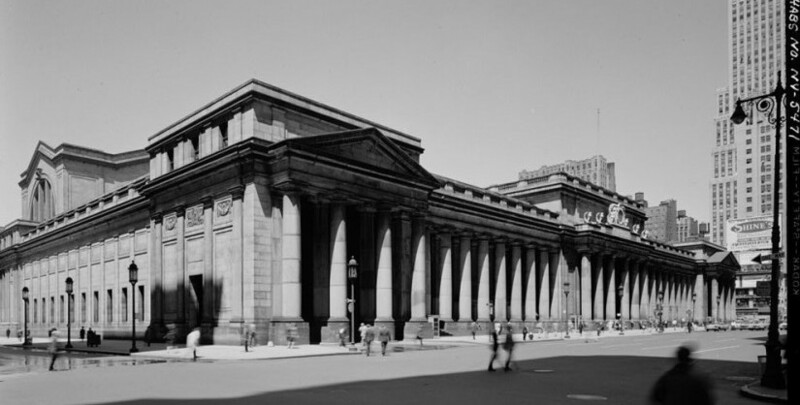 Though the history of New York City's preservation efforts began before the demolition of Penn Station, and in spite of the fact that New Yorkers at the time may not have realized the magnanimity of the loss, the destruction of Pennsylvania Station would later become an important preservation icon that rallied people to action. 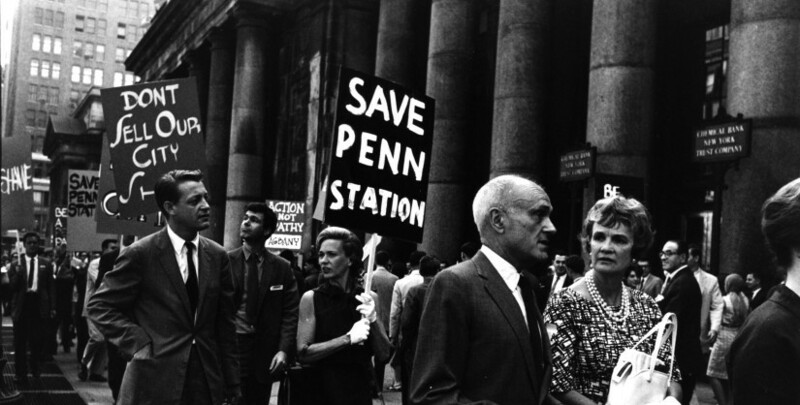 Yet, the successful passing of the 1965 New York City Landmarks Law that potentially could have saved the original Pennsylvania Station can certainly not be attributed to any single event. “Penn Station,” New York Architecture. Article retrieved 15 February 2016. Thomas Wolfe, You Can’t Go Home Again (New York: Harper Perennial Classics, 1998), page 46. Ada Louise Huxtable, “Farewell to Penn Station,” The New York Times, 30 October 1963. Anthony C. Wood, Preserving New York: Winning the Right to Protect A City’s Landmarks (New York: Routledge, 2007), pages 6-7. Lorraine B. Diehl, The Late, Great Pennsylvania Station (New York: Stephen Greene Press, 1987), page 144. “New Zeckendorf Project to House World’s Fair,” Washington Post and Times Herald, 7 June 1955; “Zeckendorf Maps New Penn Station,” The New York Times, 30 November 1954; “Palace of Progress,” The New York Times, 9 June 1955. ”’Palace’ Plan Out; Bigger One Urged,” The New York Times, 6 January 1956. ”New Madison Square Garden to Rise above Penn Station,” The New York Times, 25 July 1961. Anthony C. Wood, Preserving New York: Winning the Right to Protect a City’s Landmarks (New York: Routlege, 2007), page 328. Anthony C. Wood, Preserving New York: Winning the Right to Protect A City’s Landmarks (New York: Routledge, 2007), page 302. Brief of the Action Group for Better Architecture in New York in Opposition to the Granting of a Special Permit, submitted to the City Planning Commission, New York, NY, 1 February 1963. Jim O’Grady, “Voices From the Wilderness Unite,” The New York Times Company, 2003.